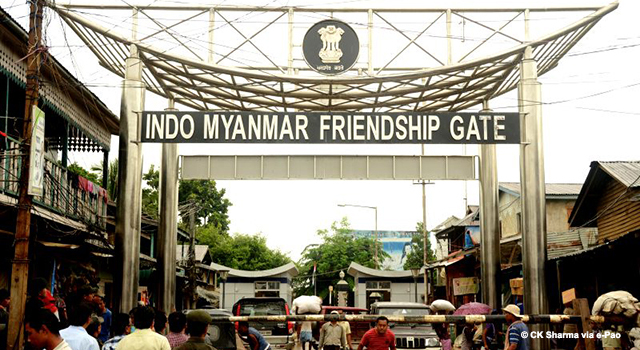 The Governments of India and Myanmar inked the Agreement on Land Border Crossing during the visit of Ms. Sushma Swaraj, External Affairs Minister of the Government of India, to Myanmar on 10-11 May 2018. This landmark agreement allows people from both countries to cross the land border with passport and visa, for purposes such as availing health and education services, pilgrimage, and tourism. Ms. Swaraj called on the Vice President of the Republic of the Union of Myanmar U Win Myint, and held a meeting with Ms. Aung San Suu Kyi, State Counsellor and Minister for Foreign Affairs. These bilateral meetings discussed issues of mutual interest, including boundary and border-related affairs, India’s development assistance to Myanmar, and ongoing projects. Other agreements/memorandums of understanding signed during the visit included the MoU on Restoration and Preservation of Earthquake Damaged Pagodas in Bagan, MoU on assistance to the Joint Ceasefire Monitoring Committee, MoU on Training of Myanmar Foreign Service Officers, MoUs on Setting up Industrial Training Centers (ITC) at Monywa and Thaton, and Exchange of Letters on extending a maintenance contract for ITC Myingyan.